So it looks like Fitbit is about to acquire Pebble. Possibly for around $40 million, which is a fraction of what Eric Migicovsky was reportedly being offered last year. All the signs were there: the rumours, the layoffs, the returns to Kickstarter. And in October, Pebble's CEO told our news editor Hugh Langley: "I was… a little bit surprised Apple Watch sold fewer watches this year than last year. I think it's a testament to the power of Fitbit. 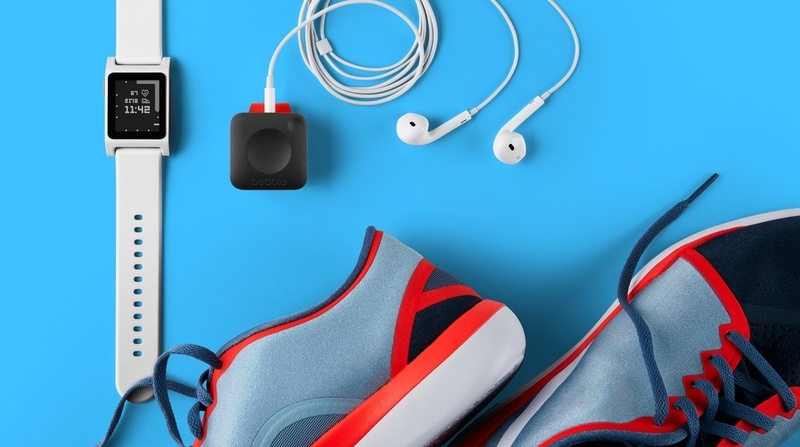 Fitbit is a very powerful voice in the space right now." It's also not surprising following Nokia buying Withings (for €170 million), Fossil Group buying Misfit ($260 million) and not much sign of life left in Jawbone. (The platform is bloody brilliant so let's get it sold asap, people). So, yes, the financial papers will tell you all about these examples of consolidation, buyouts signalling the next steps for the "winners" of this first wave of wearable tech. But let's delve deeper into the technology. Fitbit is synonymous with fitness trackers, but it's had a rocky few months convincing investors it can keep growing. CEO James Park told us recently that he wants to weave together health and fitness with general purpose functionality. Since I started writing about wearable tech, back when I reviewed the first "less is more" Pebble, it has been one of my favourite tech companies. Migicovsky and co built up a community based on a crowdfunding campaign and kept listening, updating and experimenting. The focus on customisable watchfaces, prioritising battery life, the encouragement of Smartstrap makers, the range of affordable price points – these are all strong ideas that Fitbit (and Apple, Fossil et al) can learn from. As is the brilliant Timeline UI and the simplicity of the OS, which we're sure are of huge interest to Fitbit. I still prefer it to both watchOS and Android Wear and roughly 2 million people agree. Fitbit needs to embrace Timeline for starters, and get that API opened up to third-party apps. The devices have been strong too. The Pebble Time Round is still impressively light and slim next to similar smartwatches, and given that James Park reckons "heavy female interest" is a big opportunity, Pebble's hardware makes sense. As the least fit member of Team Wareable (still! ), it's also refreshing that Pebble recognised that health and fitness could be a focus without alienating those that bought its smartwatches for other features. With its bigger community and brand, the word on the web is that Fitbit will use Pebble's expertise, software and intellectual property and effectively kill the brand. It's not clear yet what that means for devoted Pebblers – the acquisition hasn't even been confirmed yet. But it's a shame that – once again – it seems it's just too tough in that middle ground between big-selling tech giant (which Fitbit is relative to the space) and tiny startup. But the smartwatch world is becoming cut-throat, and it seems only the biggest can survive. Two years ago, we were saying that Misfit, Withings, Jawbone and Pebble were getting things right in wearables that the tech giants were getting wrong. And Fitbit might simply be trying to take out the only competition it can afford to. Pebble's current Twitter bio is "Wearables with brains for people with heart." A bit corny sure, but if Fitbit is about to own those darn clever wearables, I hope it takes Pebble's best ideas seriously.